In 1988, fires consumed more than a million acres of Yellowstone National Park and its surrounding lands. But for the past three decades, Yellowstone’s forests — resilient ecosystems composed of species adapted to periodic severe fire — have embarked on their recovery. However, this year, several new fires — including the Maple, Buffalo and Berry fires — are burning through those young pine forests. Typically, a century or more separates severe wildfires there, says Monica Turner, professor of zoology at the University of Wisconsin–Madison, so how the forest will recover from more fire just 28 years later is unknown. 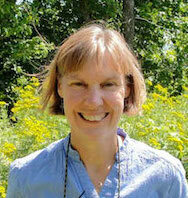 Turner paired with Jill Johnstone, professor of biology at the University of Saskatchewan, to outline a framework this month in the journal Frontiers in Ecology and the Environment to help scientists better test, understand and predict when forests are resilient enough to recover or when a combination of conditions could tip the scales, drastically altering forest landscapes. “This is a new normal. We have to anticipate how things are going to change,” says Turner. 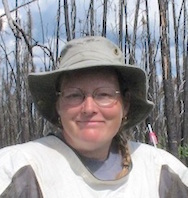 Turner and Johnstone, who studies the boreal forests of Alaska and Canada, view the framework as a tool for ecologists to better accomplish this because how the forests of the future will be affected by traditional disturbances like fire in the context of changing conditions — from a warmer, drier climate to destruction by invasive species — remains a challenge to predict. Especially since hot and dry conditions have fueled wildfires in populous portions of California this summer, destroying homes and forcing tens of thousands of people to evacuate. And some of the largest fires of the season continue to burn in Idaho and Washington. Johnstone and Turner, co-lead authors of the framework, assembled a team of leading forest ecologists — including three UW–Madison alumni — to develop it. In their analysis, they highlight the notion of ecological memory, which refers to the evolved adaptations of forests to fire, such as the presence of pine cones (serotinous cones) that only open in response to fire (what the researchers call “information legacies”), to what is left after disturbances, like the dead trees that remain standing after a blaze (“material legacies”). 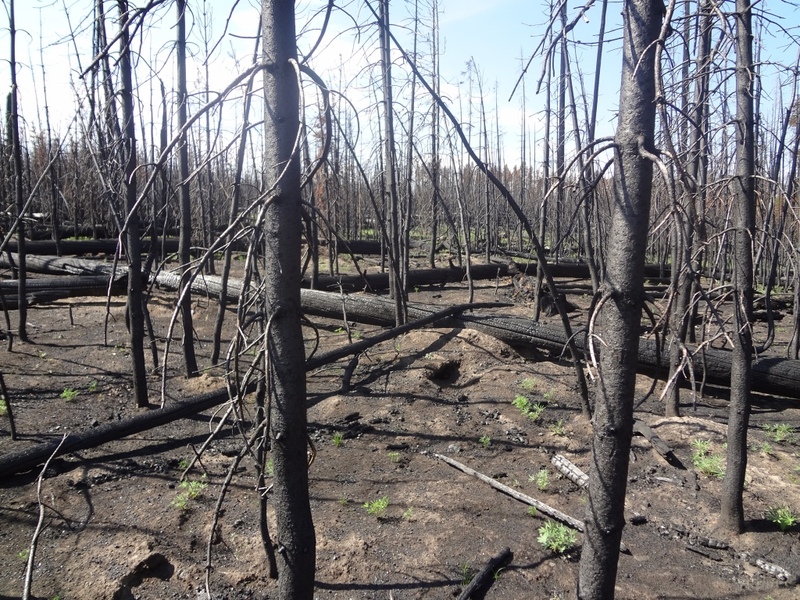 Ecological memory confers forests with resilience to fire by providing them the building blocks for recovery, even under a wide range of conditions. By definition, disturbances are almost always unpredictable but “what we and many others want to know is whether there are situations where forests may be stressed beyond their ability to be resilient, where a double or triple whammy will have a big effect,” says Turner. For instance, she will continue to study Yellowstone in the wake of this year’s fires, to see if burned forest areas can recover after a growth period of just 28 years. Other studies by her research group have shown that years of hot, dry climate immediately following fires significantly impede forest recovery. 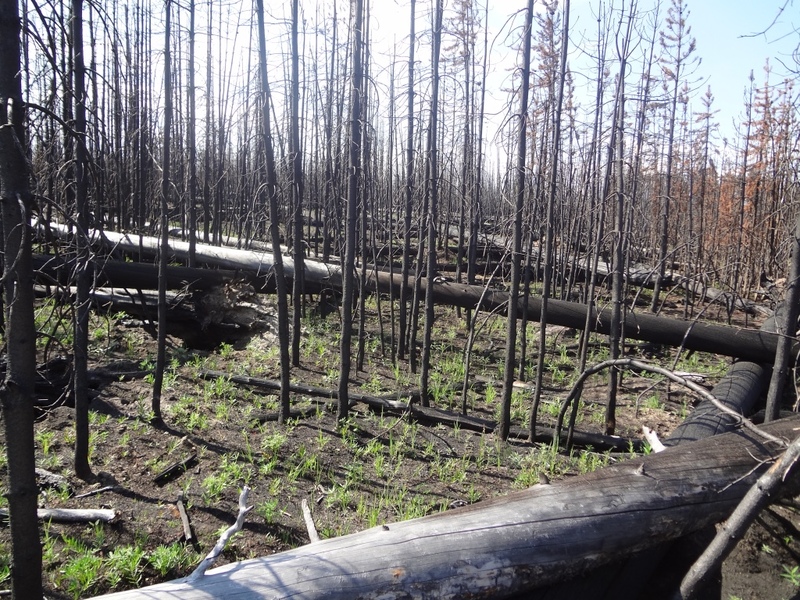 Johnstone has shown that areas of boreal forest once occupied by white spruce have been invaded by flammable black spruce, increasing fire frequency in areas unaccustomed to flames, while some severely burned areas have been repopulated by less flammable species, reducing fires there. In Minnesota, severe wind storms that knock serotinous cones to the forest floor can prevent forests from recovering if a fire follows. And in New Zealand, some forests are seeing fires for the first time due to human impact; the species there have not had the opportunity or time to adapt to fire. 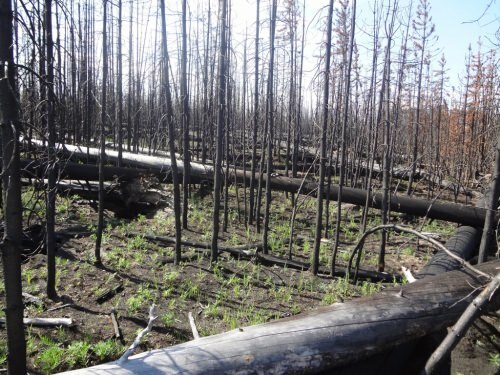 “If the new normal is outside of the conditions they are adapted to, forests may no longer be resilient,” says Turner, because it results in a mismatch between ecological memory and the disturbances forests endure. 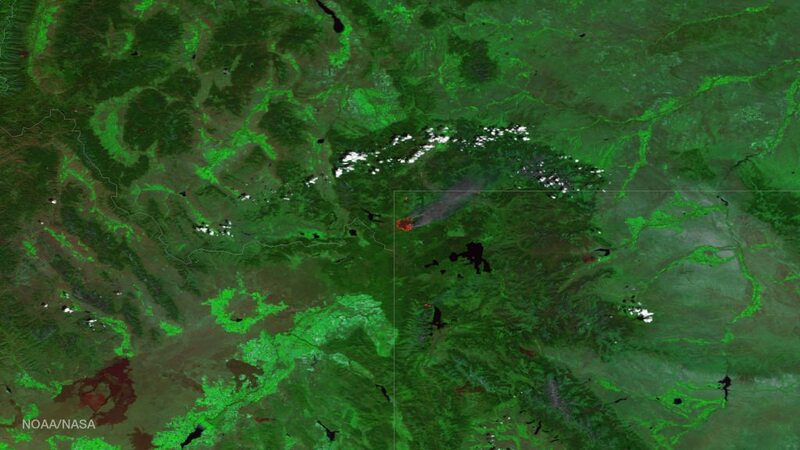 Color-enhanced satellite image of the Maple Fire in Wyoming, Aug. 21, 2016. This mismatch can lead to what Turner and her co-authors dub “resilience debt,” which becomes apparent only after a disturbance occurs. Ecological processes happen slowly, so the impact of disturbances, though they happen fast, could take years or even decades to manifest. By examining different mechanisms that have diminished the ability of forests to recover — from a change in disturbance frequency, size or severity to changing climate — Turner and her colleagues were able to define particular sets of conditions that may allow ecologists to predict when forests will be resilient or when they will be fundamentally altered. Thanks to support from the federal Joint Fire Science Program, Turner has new funding to test some of these ideas about resilience in the Rocky Mountains. She and colleagues at UW–Madison, including Jack Williams, director of the Center for Climatic Research and a professor of geography; Stephen Carpenter, director of the Center for Limnology and professor of zoology; Anthony Ives, professor of zoology; and Chris Kucharik, professor of agronomy at the Nelson Institute for Environmental Studies, are also leading a new effort with support from the UW2020: WARF Discovery Initiative to focus on abrupt changes in ecological systems of the U.S. They refer to their project as ACES.